What we think we do to and for our children is quite different from what we actually do. What we think is happening for our children and the future of America, is based upon lack of knowledge about how education and our schools work and what a whole or complete school should be. As we search through effective programs and identify what must be continued – what we must enhance and tailor for the Information Age – we find whole areas where the ideals of parents and educators have been subverted by organized minorities and privatizing movements based on school choice. Our factory system is outdated and ineffective; it doesn’t fit our time. The needs of 21st Century learners are very different than those of students who came before. The widespread integration of technology at a very early age has changed the way children learn, the way teachers must educate, and the support systems required for effective instruction. Virtual world environments are expanding out-of-school learning opportunities. Learning is not the same as it was. Perpetuating the old system is national suicide. Evolving away from a petrified, coercive, self-serving system is difficult. Many feel that it is impossible to change our schools. Yet change is being forced upon us. What happens to our children in school is critical to our survival. If we fail to evolve our schools, we lose. If we destroy fact-based, interdisciplinary comprehensive schools based on essential skills curriculum, we fail. There are thousands of highly qualified educators and thinkers who see the whole picture and know what has to be improved or changed if education is to keep us vital in the 21st Century. 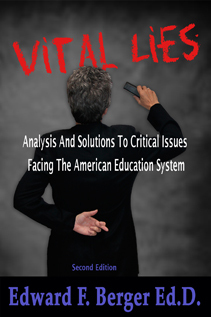 Unfortunately, there are hundreds of ill-informed, often fact-adverse politicians and greed-driven corporations who are profiting from the vacuum created by the lack of educational leadership and the ignorance of parents who have not received the information from teachers and educational leaders they need to make decisions about the education their child must receive. DIGITALS ARE CREATING A NEW UPPER CLASS.